Reflect the emotion of a unique time and space. 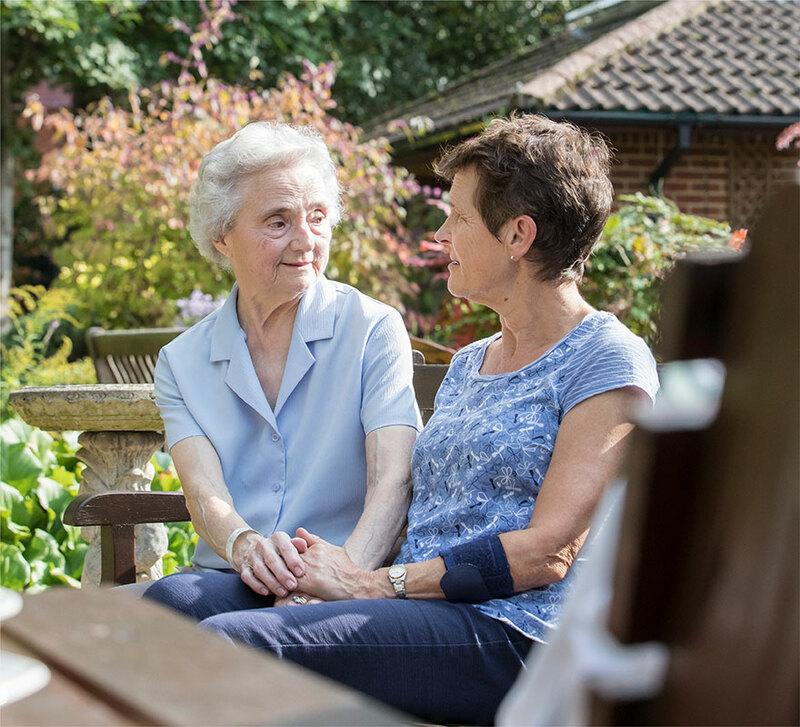 With services across medical care, emotional support and practical help, Sue Ryder treat more conditions than any other UK charity in their hospices, neurological care centres and out in the community. Each hospice costs around £10,000 a day to keep open. 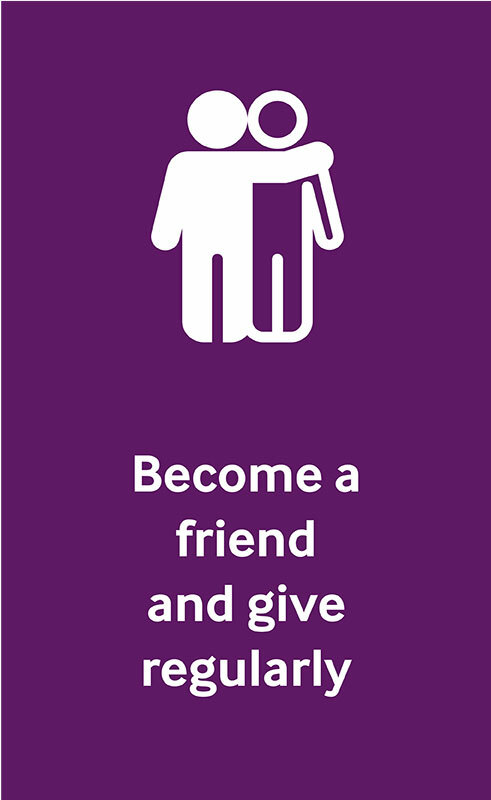 This makes effective fundraising vital. 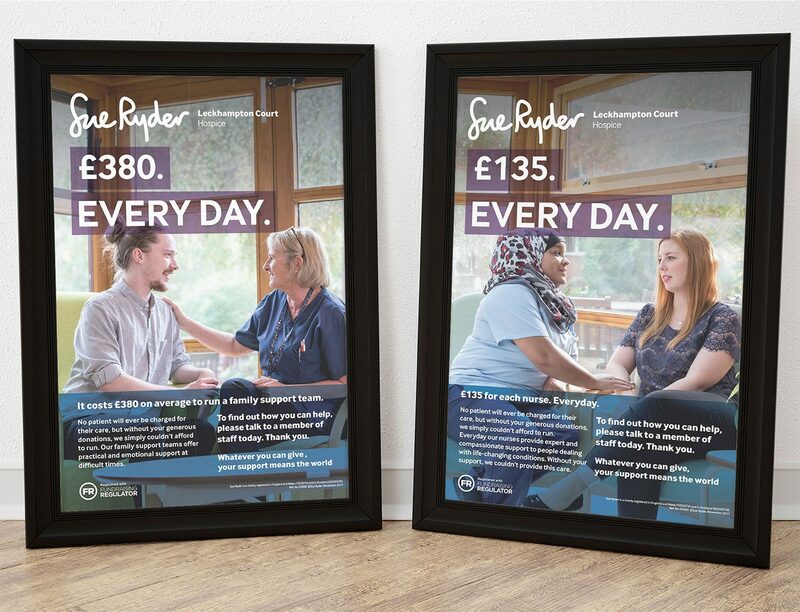 We worked with Sue Ryder to develop strategic fundraising messaging to be used across sites and propositions. Previous messaging had focused on the “thank you” but they needed more action to up the income. 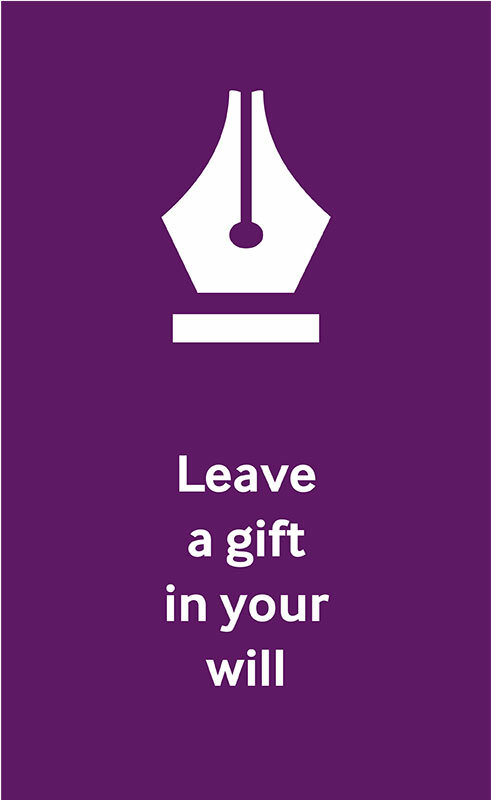 It was vital to tie together three different fundraising products and direct everything back to the relationship between the audience and the specific hospice. 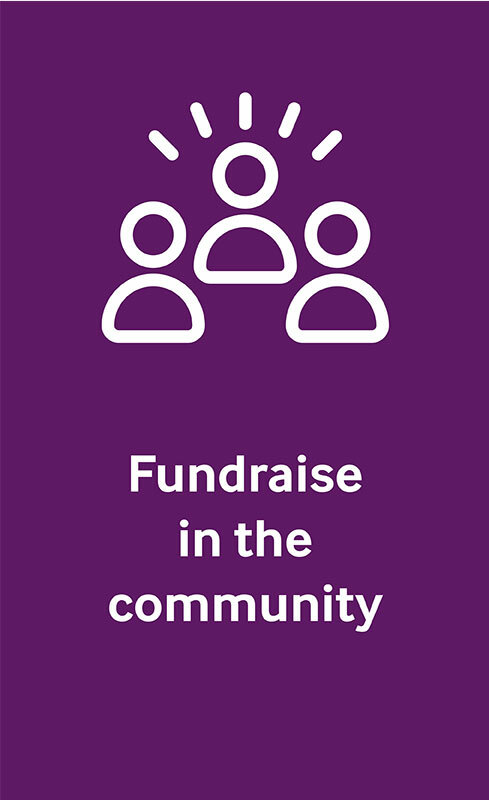 So (bear with us) that’s three concepts to choose one route for three fundraising products across seven hospices and a whole host of collateral. Luckily our project management is as exemplary as our creative thinking and execution. We had to make it clear why we were fundraising, as well making the emotional connection. It had to be clear that Sue Ryder needs money for frontline services and that there’s a way to give that suits everyone. We knew the work would have to stand out or get lost in the hospice information material. And to get people to take action, we needed to find a blend of impact and emotion. After immersion sessions, a comprehensive content review and in-depth discussions, we began to form a link between hospice care and financial support in a relatable and meaningful way. Everyone who sets foot in a Sue Ryder hospice is touched by remarkable acts of care during a highly emotional period.We combined the human stories of the hospices with the hard facts of income to create a route that connected the need of Sue Ryder and those it cares for with the impact of their work. 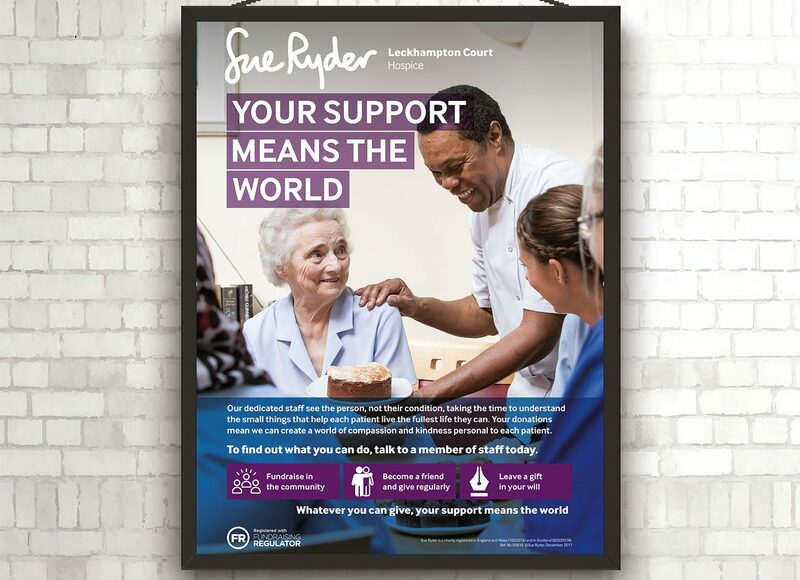 We took a bold, innovative approach, creating a consumer advertising look and feel to the materials (minimal copy, large headline, reportage images), setting them apart from the rest of the Sue Ryder content, but still reflecting the core brand through identity touch points. The tone is compassionate and warm, and the short, direct statements are urgent, compelling the audience to take notice. 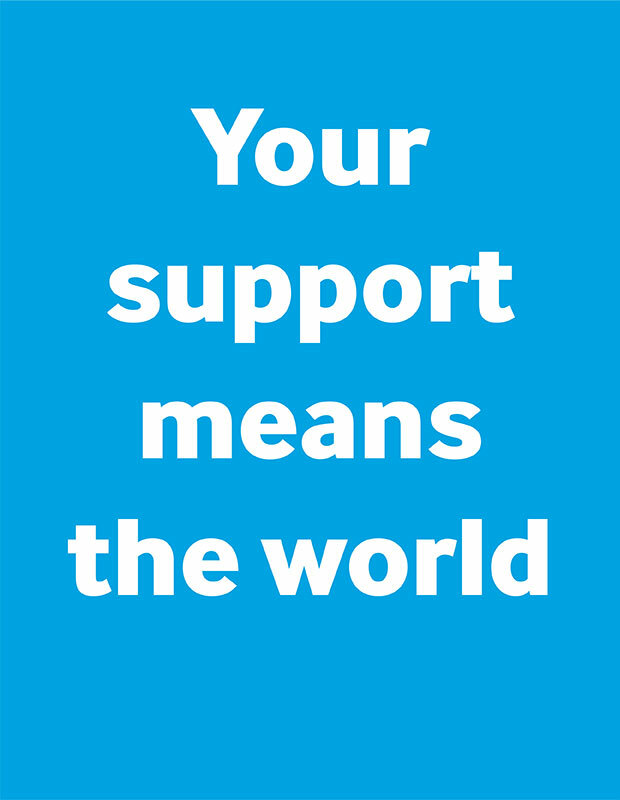 Paired with bright, positive and natural images that show the full context of the hospice (facilities, nurses, garden, activities), we’ve reflected the passion and practical nature of what Sue Ryder does best. 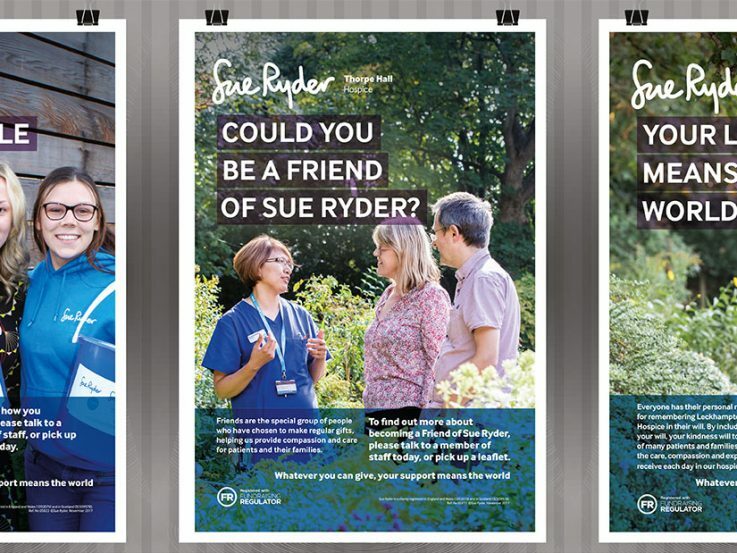 From car stickers to community leaflets, we’ve given Sue Ryder a strong and adaptable fundraising platform they can personalise for each hospice, adding a local focus that creates a deeper connection with the audience. By telling a financial story in human terms, we managed to position fundraising in a sensitive place as the most natural thing in the world.